For those people who have seen the popular tv series ‘Storage Wars’ you will know that when someone buys a storage unit that contains a safe, the safe either contains contents of no value, or it’s usually empty. However, that shouldn’t stop the storage buyer from hoping he or she will one day hit paydirt. 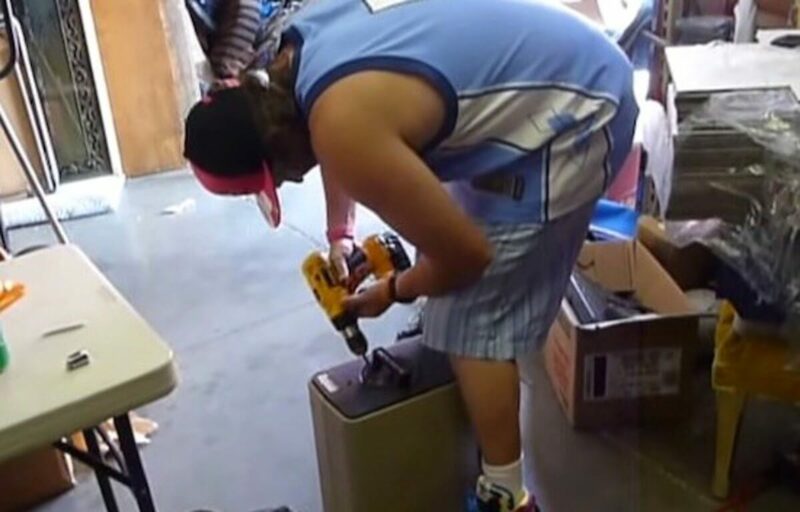 Two newcomers to storage buying recently bought a unit that contained a safe and suspecting the inevitable ‘no value’ contents inside, they filmed their experience. The one young guy, in a cut down vest and wearing a baseball cap, began drilling away at the safe’s lock. Several moments later, the safe opened and with screams of excitement and the utter surprise of everyone present, they found bundles of neatly rolled-up cash amounting to $26,420. Little more is known about what happened after that, but their video which went viral just proved that there is always hope in finding that long lost, or in this case abandoned treasure. 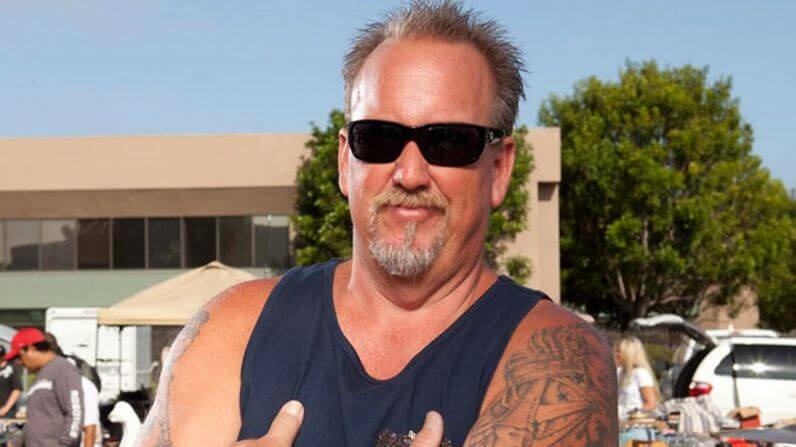 Darrell Sheets has been one of the main stars in the tv reality show ‘Storage Wars’ from day one. His quirky persona has made him a fan favourite and with the a.k.a. ‘The Gambler’, he is usually seen to make some good decisions when bidding on storage units. Half way through the series, Sheets introduced his son Brandon, to the show and ever since, the father and son team have been trying to outbid their rivals at storage locker auctions. At one such auction, Sheets liked the look of a locker and after outbidding his rivals, he finally paid $3,600 for the unit. While sifting through the contents of the locker, he came across several paintings and after having them evaluated by art expert, he was surprised to learn that he paintings were the original works of contemporary American artist Frank Gutierrez. He was even more surprised to learn that the total value of his find was in excess of $300,000 the biggest profit ever made by a participant on the tv show. The biggest ever haul of memorabilia of American musicians ‘The Beach Boys’ is set to go auction. The massive haul was put up for auction at a Florida storage facility after several missed storage payments. 28 boxes make up the collection that includes, the band’s first royalty check for $990, personal photos and letters, dozens of signed contracts and handwritten scores by songwriter Brian Wilson. Tour manager and former musician, Roy Sciacca claims he bought the huge collection that filled a small truck in the 1980’s. 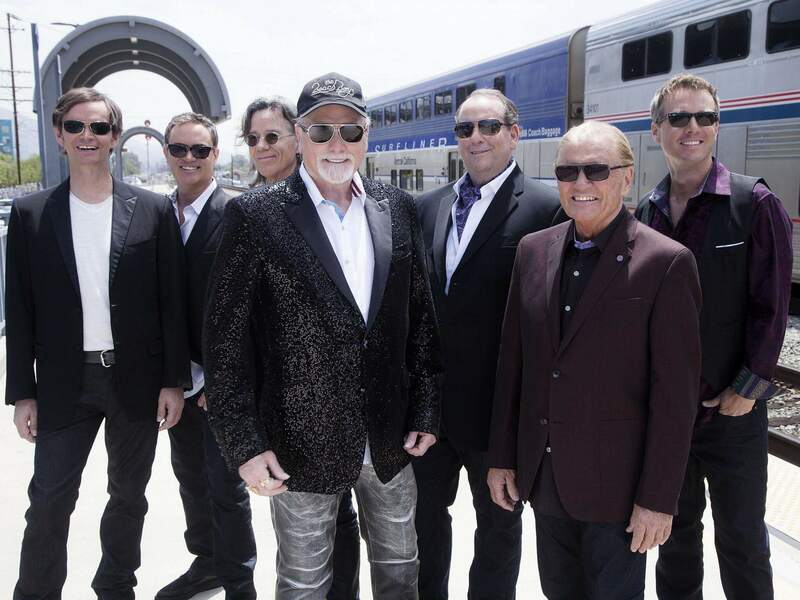 After learning of the collection, The Beach Boys attempted to reclaim legal ownership of the memorabilia, claiming that the items were placed in the storage unit for safekeeping by a relative in the mid-Seventies, but their claim has been overruled. The massive collection is expected to fetch several million dollars when it finally goes to auction. There’s a certain mystery involved in buying abandoned storage units and the rules are quite strict. Bidders are not allowed to enter the unit and are usually allowed a 5 minutes, brief glimpse of the unit’s contents before placing the bidding begins. Seasoned buyers quite often identify contents of value, but nothing is ever guaranteed, and most bidders leave the rest to chance. Based on a brief description of the contents, online buyers have even less information to go on and rely solely on their gut instincts. 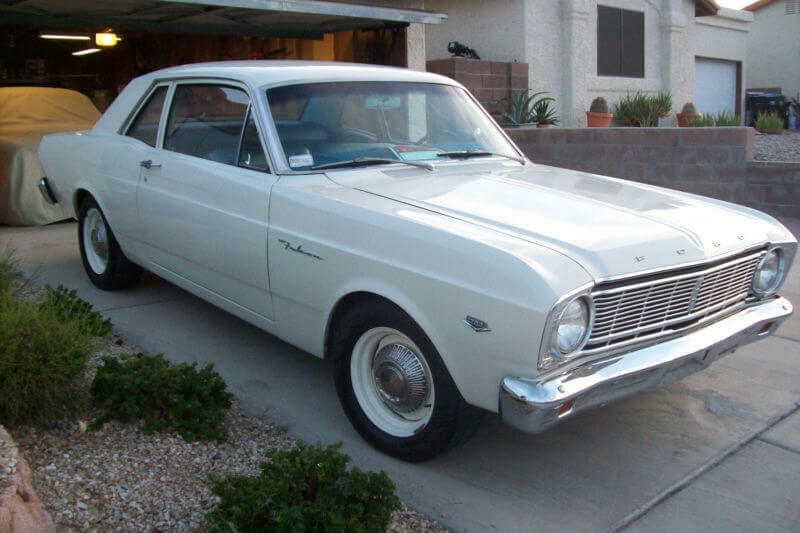 One lucky buyer made an online bid of $800 for a storage unit he hadn’t even seen and after winning the bid, he was pleasantly surprised to learn that he had purchased a unit that contained a 1966, 2 door, Ford Falcon. The classic car was in reasonably good shape and with a bit a bit of TLC, he soon had the car running. With a good restoration, his $800 investment will bring him a return of several thousand dollars. Part of the fun when buying an abandoned locker, is not knowing exactly what might be hidden under the pile of contents and the eternal optimist is always hoping to discover a rare valuable that only cost them a few bucks. Some buyers however, might see only one thing that interests them and if the bidding price is right, they will buy the locker for that single item. At a recent auction, a relatively empty locker revealed just three things. An empty plastic box, a black bag and a vacuum cleaner. 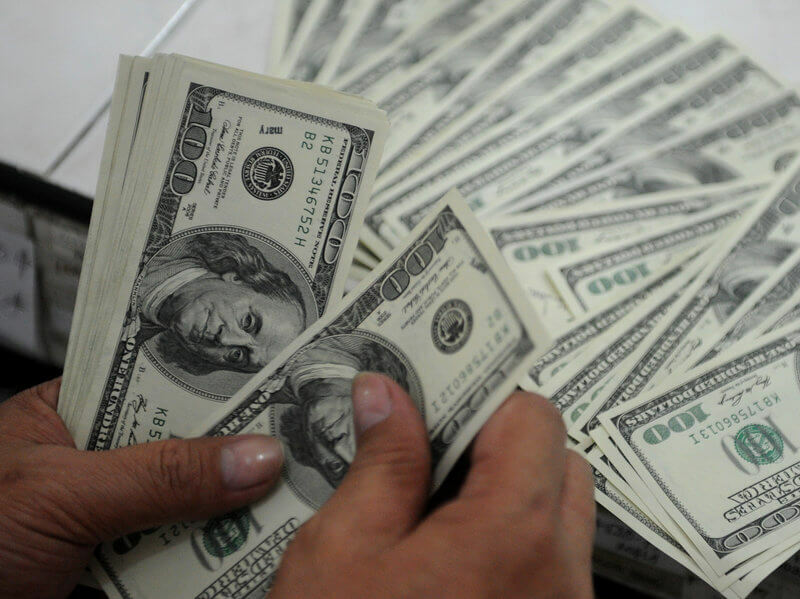 After winning the bid for a mere $35, the new owner thought he had bought a bargain vacuum cleaner for such a small amount, but when he emptied the black bag he was even more surprised to discover an envelope that contained $1,500 in cash. 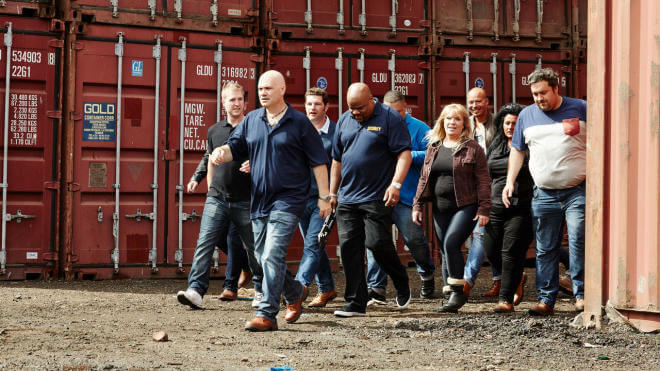 There’s no proven, foolproof method, when buying a storage unit and nothing is guaranteed but in a recent episode of the English tv series ‘Storage Hunters UK, ’ where dealers try to outbid each other for shipping containers, one of the programme’s regulars, Linda Lambert, won the bid on a unit that dreams are made of. At first glance, it was obvious that a car was concealed under a grey tarpaulin and after seeing off the other buyers, she paid £2,500 sterling, for the unit. Linda screamed with joy when the tarpaulin was pulled back to reveal a classic Delorean sports car like the one made famous in the movie ‘Back To The future’ with an estimated value of $25,000 dollars. One man’s trash is another’s man’s treasure and at a glance, some shipping containers might seem to offer the buyer a good deal, but in reality, until the locker is bought and the buyer is able to sift through the items, storage unit buying can be hit or miss. Brandon and Lori Bernier have been regular stars on the tv show Storage Hunters since the series began. The feisty couple quite often disagree about how much to wager on a container especially when the contents of the unit cannot be easily identified. But in one episode, Brandon was convinced that a valuable treasure lurked beneath a big blue plastic cover at the back of the unit and he continued to up the bid until he won it at a cost of $4,000. As it turned out, Brandon’s instincts were right and when the plastic cover was pulled back it revealed two classic Harley Davidson Motorcycles, both fully chromed and in mint condition with an estimated value of $35,000. One of the question marks that surrounds storage units is knowing whether the contents of the unit are legal or not. Treasure isn’t always obtained legally and some folks will go to great lengths to improve their wealth, even if it includes robbery. They also go to great lengths to hide their ill-gotten bounty. 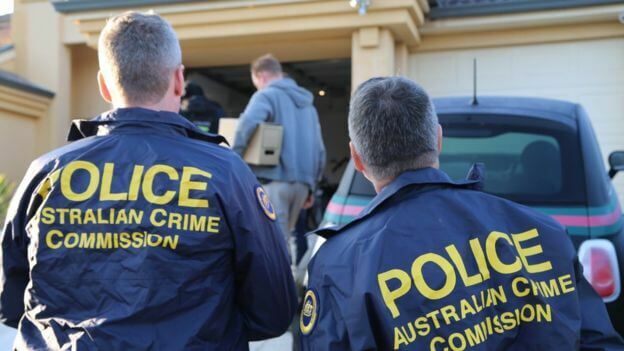 Following a tip-off about such criminal activity, led the Australian Crime Unit to raid a storage unit in Sydney, New South Wales. After forcing entry to the unit, the police soon uncovered an assortment of valuables that included, gold and silver jewelry, precious stones, antiques, $4 million dollars in cash and 5 firearms. The stash was believed to be the loot from several recent robberies in the Sydney area and the total value of the raid was estimated at being $6.5 million dollars. Hollywood actor, Nicolas Cage has been an avid collector of comic books for years and he owned several valuable editions, but the pride and joy of his collection was the 1st ever comic that featured Superman on its cover, for which Cage paid $150,000 in 1997. In 2000, 3 collectable comics were stolen from his home including the superman copy and it only resurfaced again in 2011 when the new owner claimed he had bought the comic at a storage locker auction. With a grading of 9 out of 10, Cage’s copy is considered to be one of the most valuable comics in existance and after lengthy legal procedures involving the storage locker buyer, it eventually sold at auction for $2,161,000, a world record price for a comic book. Pirate’s Treasure is not necessarily always to be found buried in a wooden chest on some remote tropical island, it can also be found in the small city of Contra Costa in California. One of the biggest ever Pirate Treasures was discovered by one lucky buyer on the popular tv series Storage Wars, and in place of a wooden chest, the treasure was concealed in a blue plastic box. The box was reportedly so heavy that it took three men to move it out of the locker. 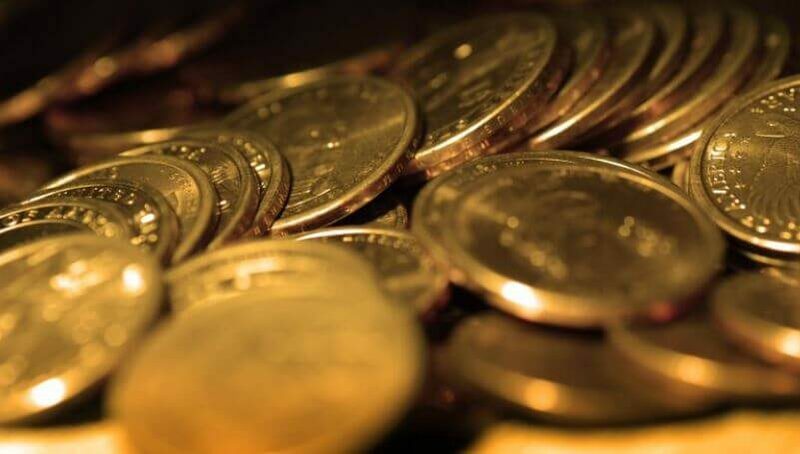 The storage unit was bought for a meagre $1700 and the lucky buyer soon discovered that the plastic box contained ancient Spanish gold coins dating back to the 16th century. After expert appraisal, the Pirate’s Treasure was valued at $500,000, not a bad find for someone who had no idea what the locker contained before buying it. @2019 - omg-funny.com. All Right Reserved!